Some formats that we use in life appear very simple but they are so powerful that they offer in-depth information about various aspects that would benefit us as users. One such format is the Menu Templates which are given to us as Menu Card in Hotels and Restaurants when we visit those places to eat. 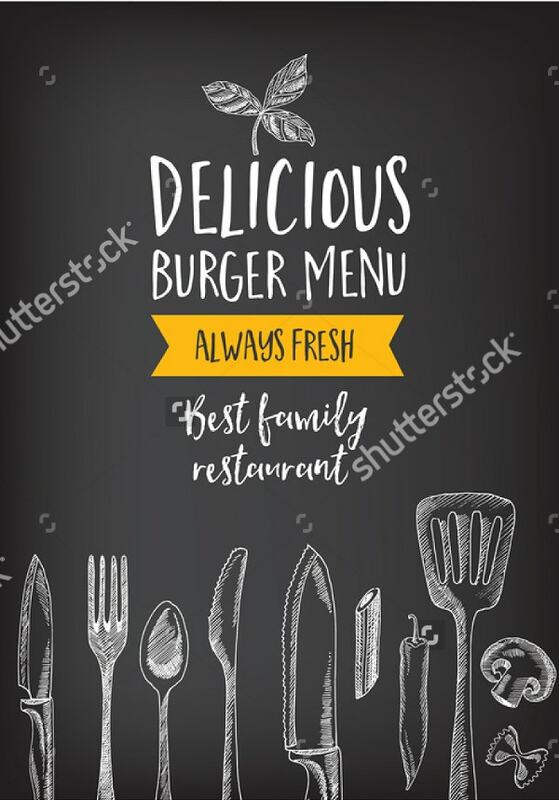 Blank Menu Templates are available for eateries to add their own list of food items and their prices and availability among the many other things. 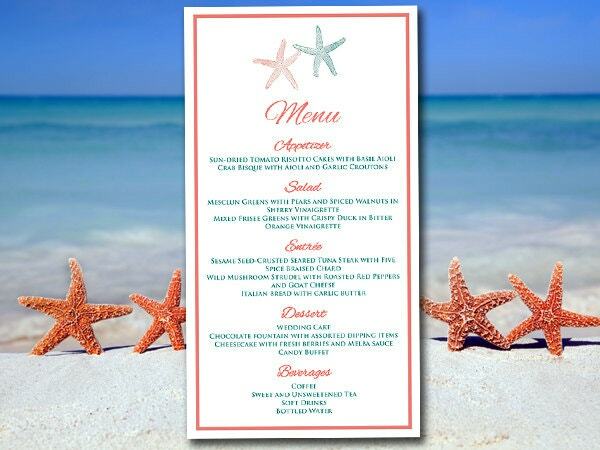 Such menu items offer huge help to the food lovers as well as the hotels and restaurants. 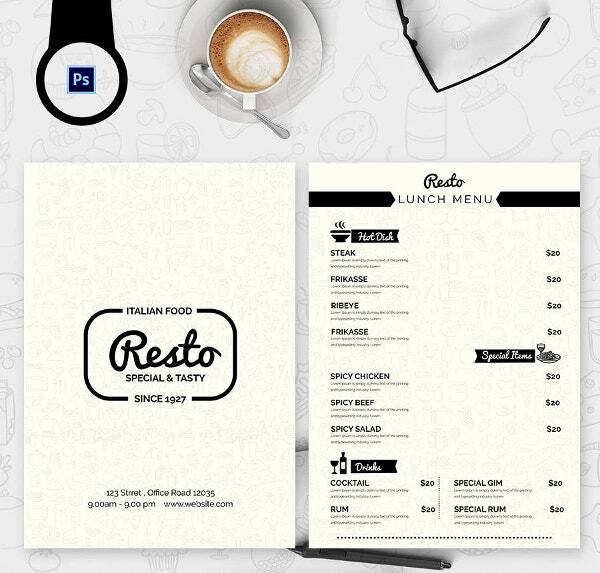 Below are a few wonderfully designed Menu Templates for you. Café Menu Template displays in detail the different types of food items that are available for eating. 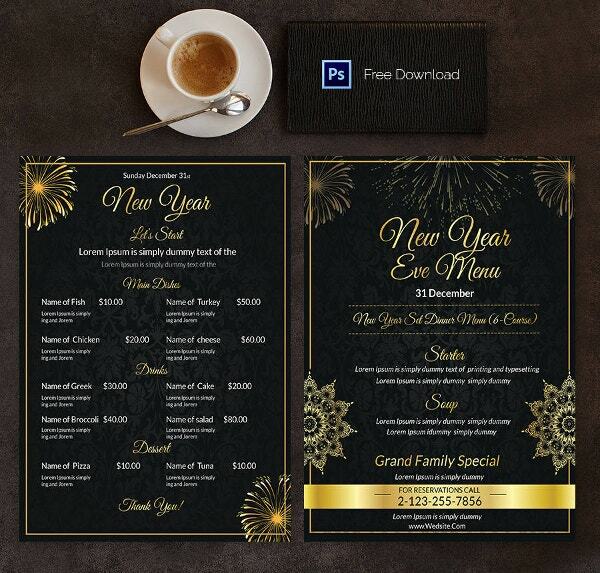 These templates are available in professional formats and look simple and elegant. 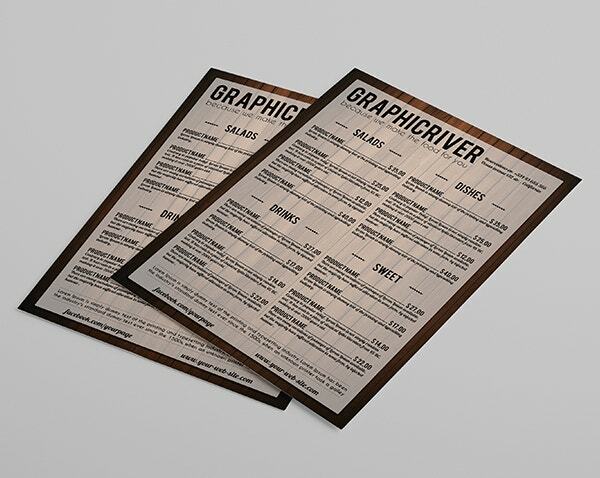 Restaurant Menu Template displays the list of food items and drinks for consumption in Restaurants. 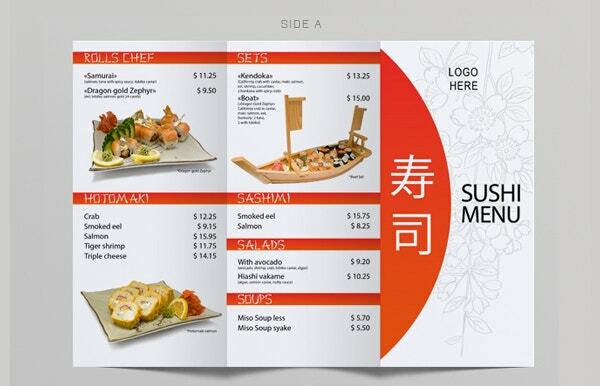 It displays the menu in terms of timings in which they are available and their rates. New Year Template displays the food items planned during the New Year celebrations. The template is decorative and colorful depicting the mood of New Year celebrations. 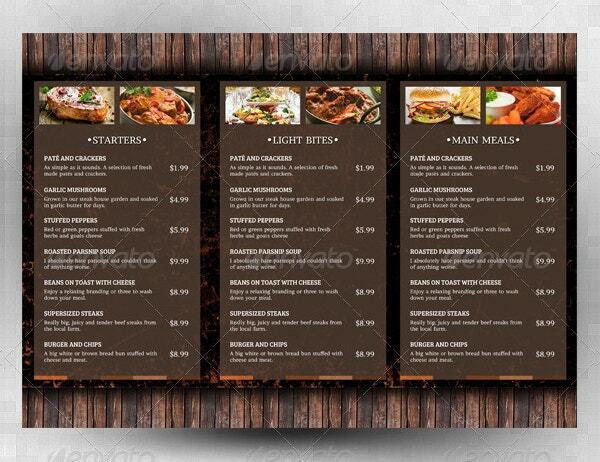 Food Menu Template provides the food items available for eating. 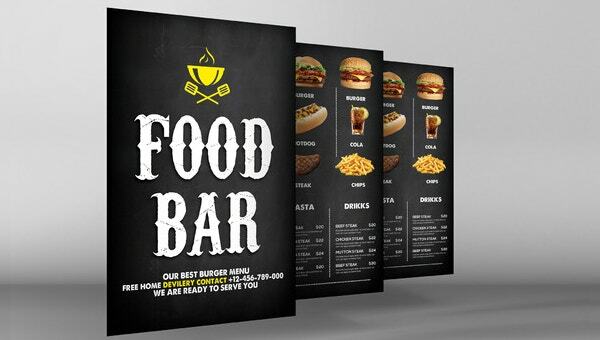 It offers details about the various food items, their availability timings, and cost in a detailed manner to guide users. 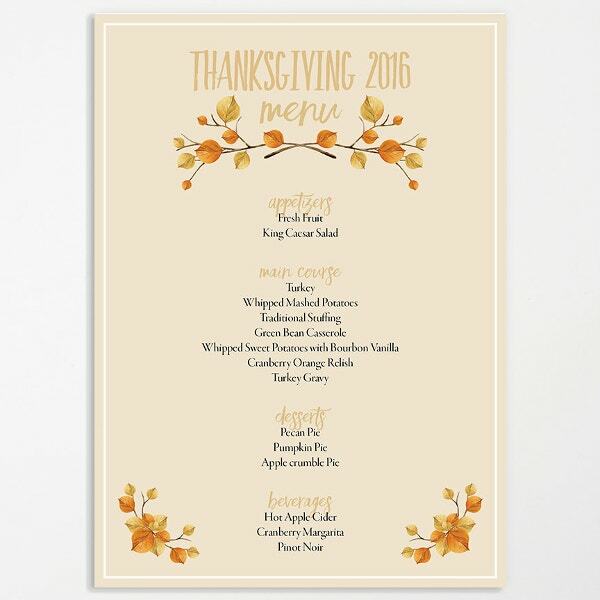 Lunch Menu Template displays the detailed menu available for lunch. 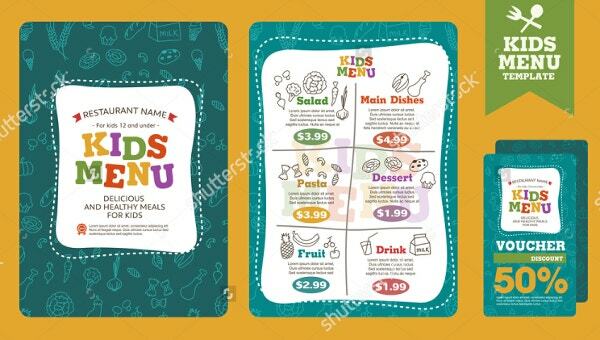 The template displays the complete list of food items that can be eaten during lunch time with their cost. 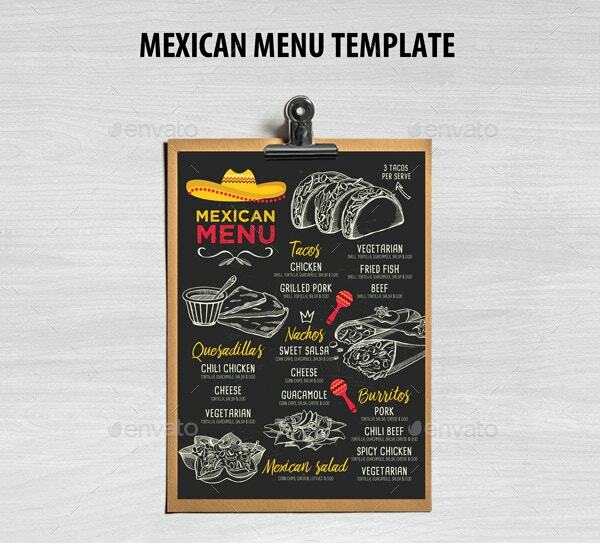 > How to Use These Menu Templates? 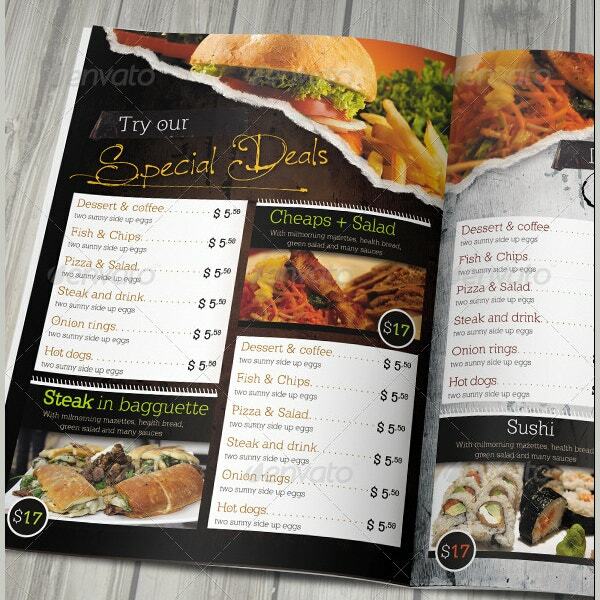 Food Menu Templates can be used for referring the type of food available for eating at any point in time. 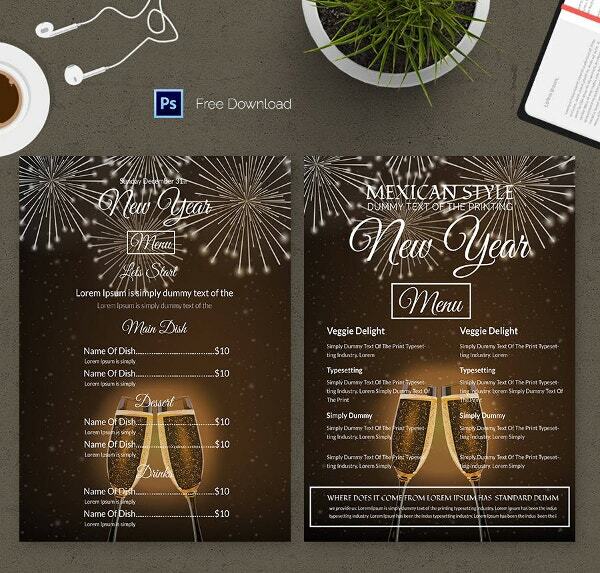 These Menu Templates vary from time to time. 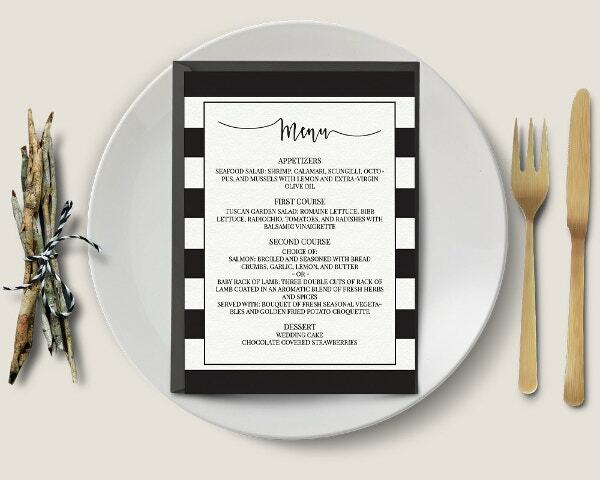 They display the food items available to be eaten during breakfast, lunch and dinner time. 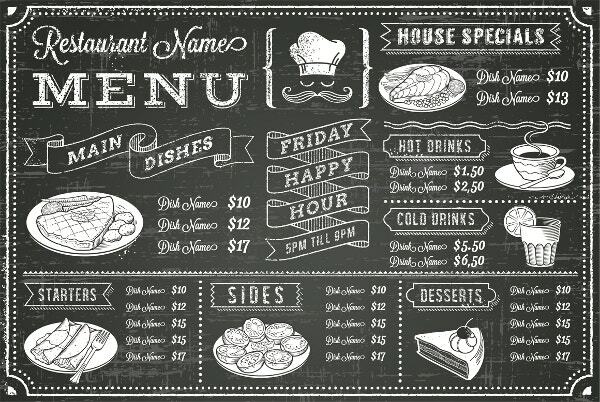 They provide the cost of each of the food item and the quantity that would be supplied for the cost. 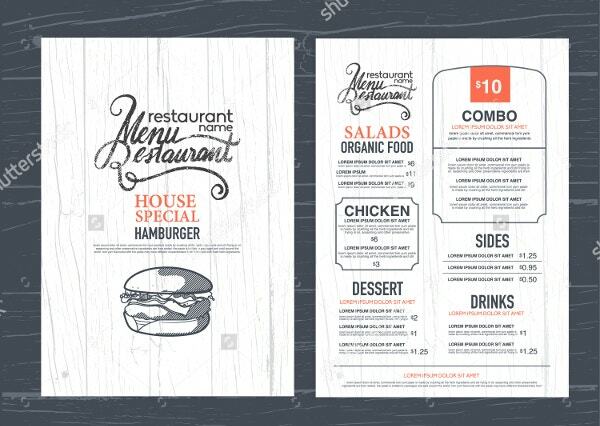 Menu Templates remain standard in places where they are used for a long period of time. 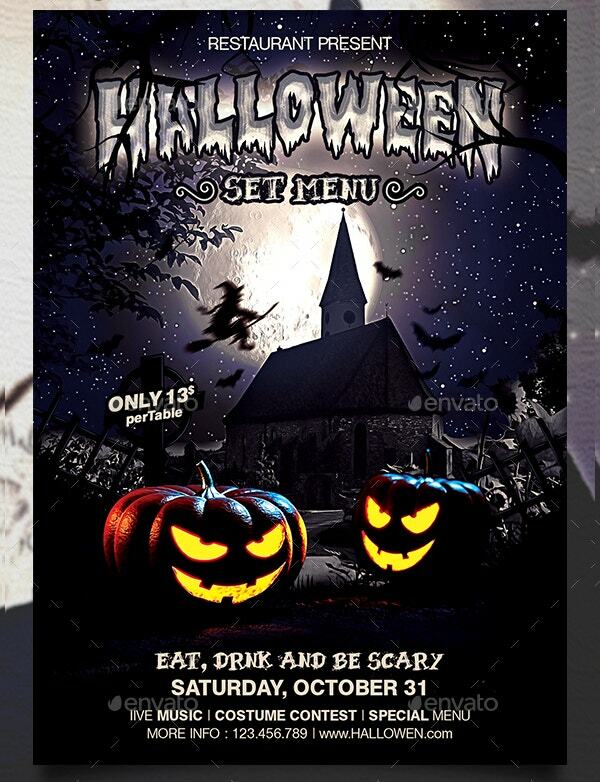 > Who are Benefitted by the Menu Templates? 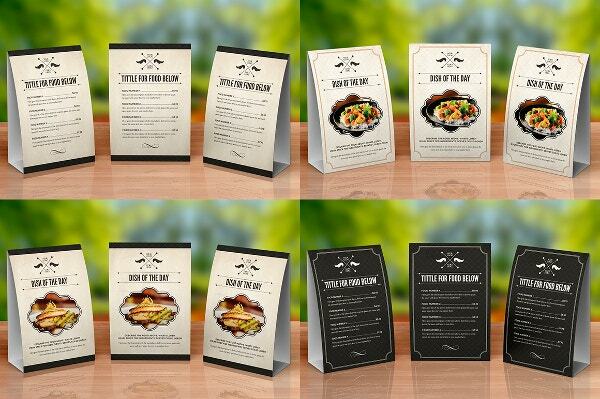 While talking about the beneficiaries of the Menu Templates, food lovers occupy the first place. 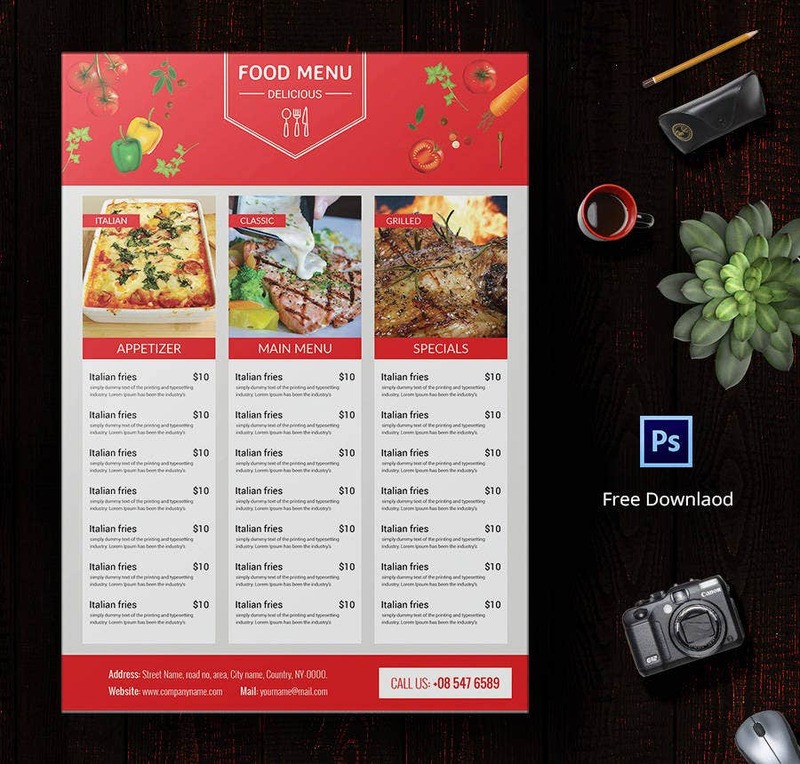 Menu Templates are mainly useful for people to browse through them and understand the varieties of food items available for eating at any particular point in time. 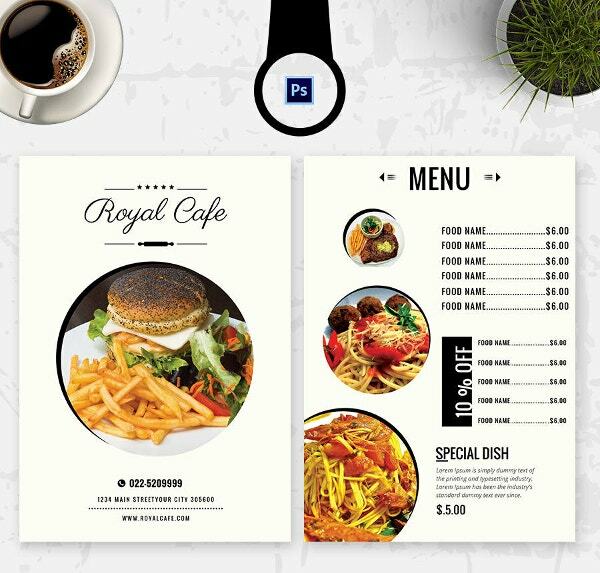 Since these Menu Templates provide complete details about the food items along with the availability timings and cost, they benefit the users in taking a decision about what they are going to eat. They also help the restaurant and hotel people to inform the customers in a simple way about the availability of food items with their cost and quantity. 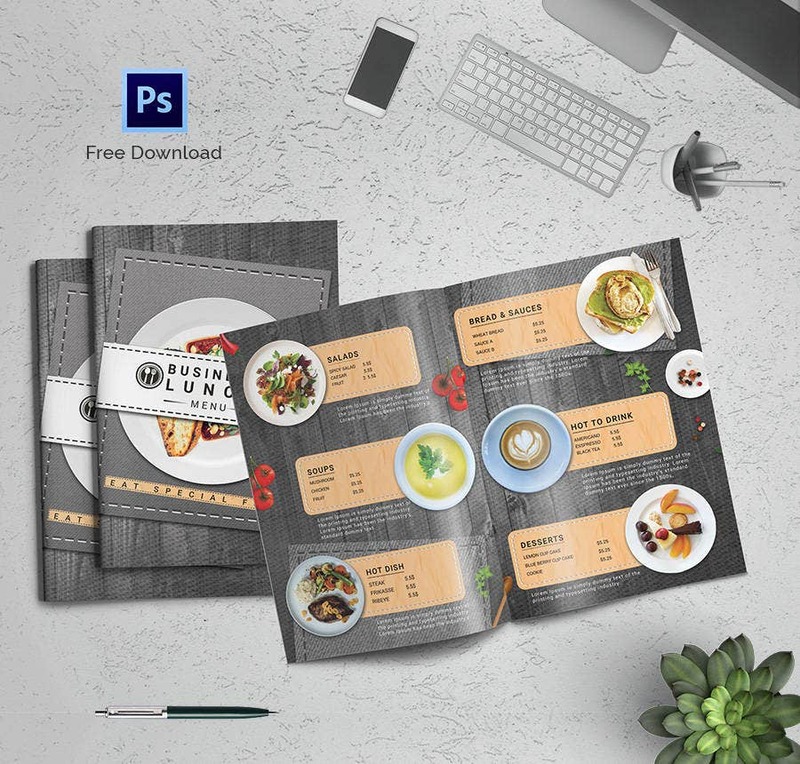 Make full use of these Food Menu Templates to decide the food items you plan to eat at any point if time. 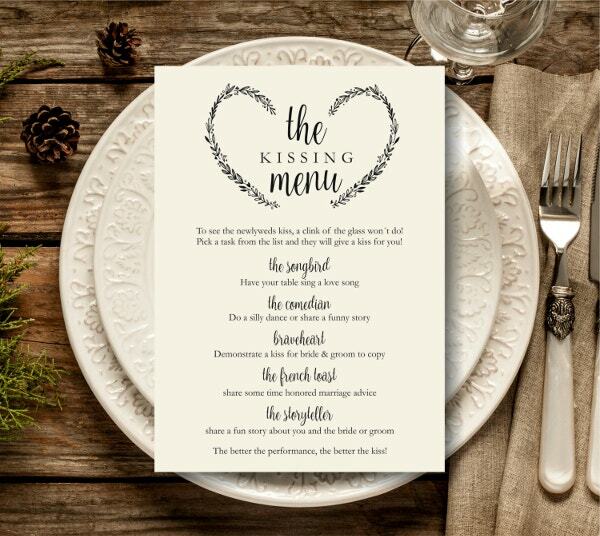 Refer to these menu cards to decide the kind of food items you want to serve during your parties and fun times and make your privileged guests happy.